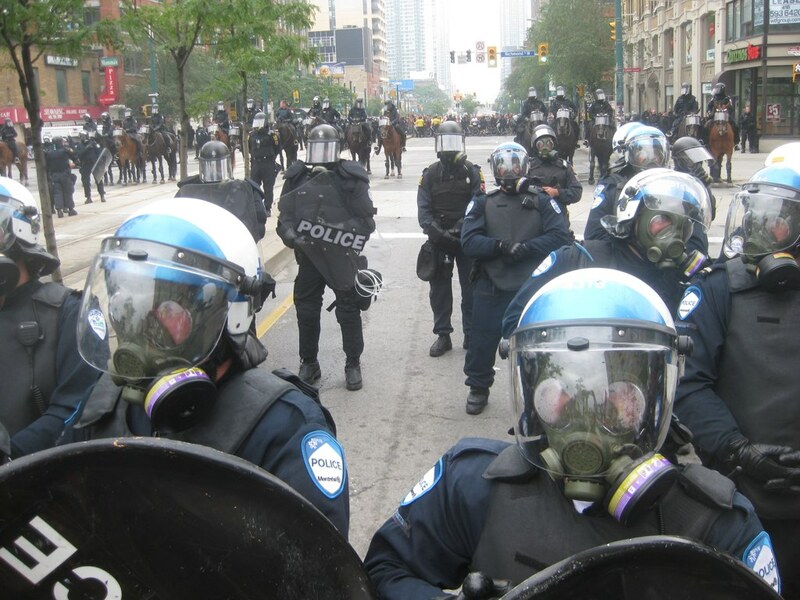 I was visiting my father during the G20 in Toronto so I had the opportunity to take part in the demonstrations. I witnessed a phenomenal amount of police violence over the course of the weekend. While I was not assaulted or arrested myself, I gave evidence on police misconduct to the Office of the Independent Police Review Director (OIPRD) G20 Systemic Review Report on what I saw happen to less fortunate people on the streets. As a witness I was sent the report and was shocked to by the statement made by Superintendent Fenton. Fenton repeatedly used the phrase: ‘protester/terrorist’ to refer to members of the public. That the professional culture of the Canadian police is such that a senior police officer is able to so brazenly characterise everyone on the streets as ‘terrorists’ is a fragrant abuse of the word and a severe danger to the civil rights of Canadians. The report has found evidence to substantiate misconduct charges against Superintendent Fenton. Canadians will need to lobby hard if we want these charges to result in anything more substantial than the token slap on the wrist – or the paid leave that seems to reward Canadian police with a sponsored holiday when they assault the public.